Minister of Communications, Malcolm Turnbull, has approved the rollout of the NBN to be significantly altered to the controversial MTM (Multi Technology Mix) delivery method. 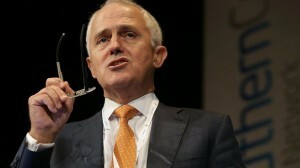 His decision was made despite the cost/benefit analysis of NBN delivery methods still not being completed. Labour’s NBN policy had the NBN being delivered directly by Fibre To The Premise (FTTP) for 93% of Australians, with the remaining 7% being serviced by satellite or fixed wireless. This model was aimed at giving the nation the best broadband network possible to service the ever-increasing demands for faster internet speeds. The Government has announced it has agreed with the NBN Co’s Strategic Review, published in December 2013, that the NBN rollout should transition to the optimised MTM model. This model gives NBN Co the option of which technologies are to be used in an area on a case-by-case basis, providing it fits with the designated budget. The Multi Technology Mix (MTM) is a combination Fibre To The Node (FTTN), Fibre To The Premise (FTTP), Fibre To The Basement (FTTB), Hybrid Fibre Coaxial (HFC) cable, fixed wireless and satellite. Specifics of the rollout will be detailed in the NBN Co 2014-2017 Corporate Plan, which covers issues including pricing, migration of services, scheduling & prioritisation & future upgrade paths.